Shimane AQUAS Aquarium is located in a beautiful area facing the Sea of Japan and was opened in 2000 in Iwami Seaside Park. 10,000 fish and animals spanning around 400 varieties such as belugas, sharks and flying fish await your visit! Aquas is the only place in western Japan where you can see belugas, and the bubble rings that the belugas grow are a very popular spectacle. Near to Aquas there is also a large play area called AQUAS LAND and a beautiful beach coastline that stretches for 5.5 kilometers. There are also restaurants and souvenir stores. We hope you come and enjoy your visit to Aquas and Iwami Seaside Park. The aquarium will be open every day throughout Golden Week and school summer holidays, winter holidays and spring holidays. around 15 minutes from Hamada or Gotsu JR stations. Over 10,000 fish and animals spanning 400 varieties including belugas, sharks, flying fish, clown fish, penguins, Californian sea lions and harbor seals. Aquas is in Iwami Seaside Park which has over 5.5 kilometers of beautiful coast. There are also restaurants and the play area Aquas Land. Unlimited re-entry is permitted on the day of purchase. Please ask, and we will put a transparent stamp on the back of your hand. There are ¥100 lockers which will return the money after use. 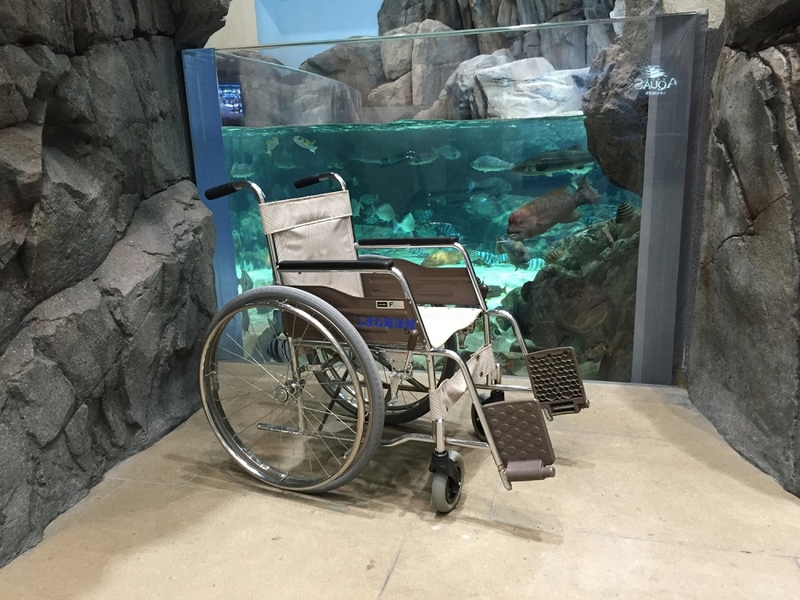 The entire aquarium is wheelchair accessible. We can provide wheelchairs free of charge. Please ask as the 1st floor reception. 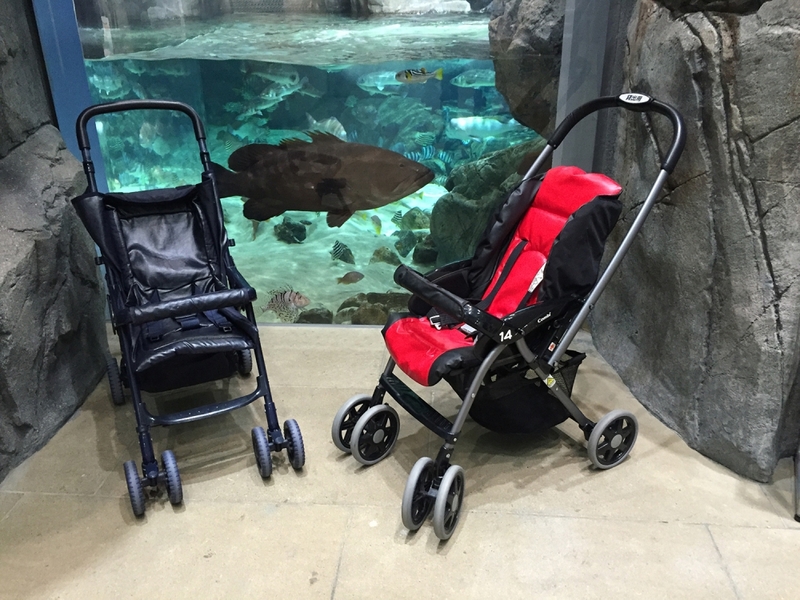 We can provide baby strollers free of charge for babies 2 years and under. 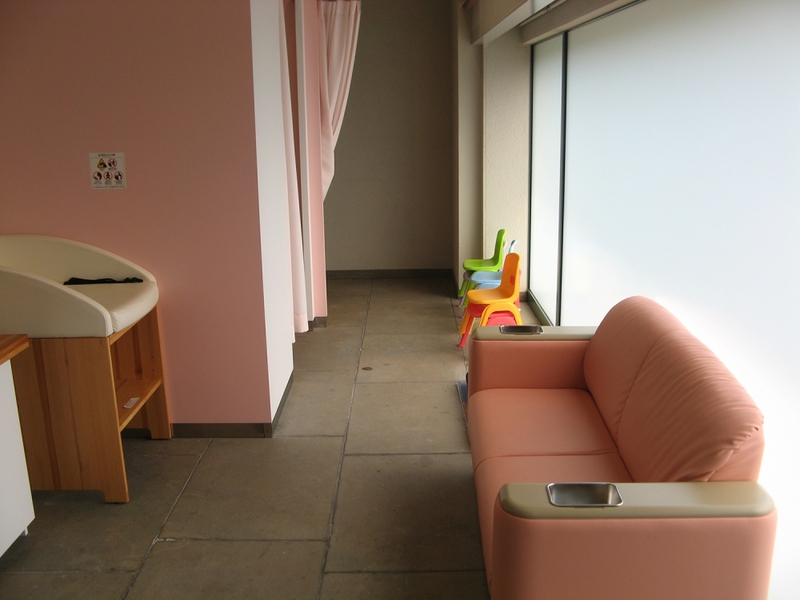 There are 3 nursing rooms for baby and mother on the 1st and 2nd floor toilets and in the corner of the kids’ room.